You may be excited to get involved in the social video craze. You know businesses and brands are using video to reach their audiences in new ways, but you may still be confused on just how to best capitalize on this trend that seems to be here to stay. Because Facebook is the most widely used social network, it makes sense that its live video platform would be a good place to start. As with other Facebook tools, it’s easy to use and gives users the advantage of its algorithm for a wide reach. So let’s take a look at some of the best ways to use Facebook Live to grow your business. A tour of your headquarters or facilities is always suitable for a live stream session. Use it as an introduction to your team or staff. People love these kinds of behind-the-scenes introductions. It gives them a more personal feel for your business, and we all know that social media’s success is built on relationships. So be sure to take the time to show your faces, who you are, what you do and where you do it. Putting on a live event or webinar can be time consuming and expensive, not to mention the learning curve of some live-streaming tools. Facebook cuts that learning curve with its user-friendly tools, many of which you already know how to use. What’s even better is that you can use your existing Facebook Page or Group to promote your event and catch your audience where they already hang out. You’ll save money and planning time. If you find yourself encountering a customer service issue or question about your product, again and again, conducting a tutorial on Facebook Live is a savvy way to share the solution with a large group of people. You can then edit and save the recording for placement on your website so that customers can view it later should they encounter the issue. Taking this step shows you are proactive in addressing any hassles your fans have, and it also allows them to ask questions and provide feedback live during the broadcast. It will save you time in the long run, as you’ll have a place to direct people with the same questions in the future. A live platform is great for interviews. Be sure to choose a subject that is of interest to your audiences such as the CEO of your company, any expert in the field related to your product or the head of a charity your company sponsors. You can get creative with this idea and offer weekly or monthly interview sessions. You may find a segment of your audience that eagerly tunes into this type of series. 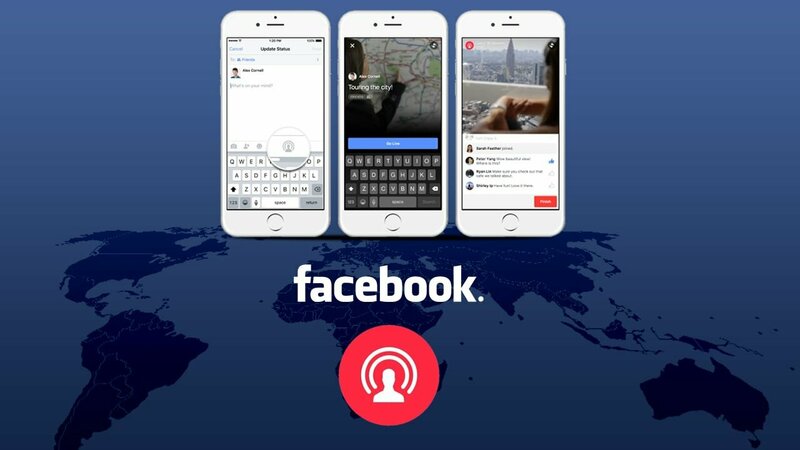 If your company has something really big going on, you definitely want to plan a Facebook Live stream of it. Product launches are ideal for such a broadcast, as are events like trade shows or company celebrations. There’s really no limit to this type of content. Anything worth celebrating or that involves a lot of people can drum up a great deal of excitement. Your fans will surely want to get in on the celebration and will appreciate the opportunity. Now that you have five great ideas for using Facebook Live in your business promotion, you’re probably ready to start customizing them to meet your company’s needs. Have fun with it and show your brand’s unique personality. You’ll soon see how positively your audience will respond.